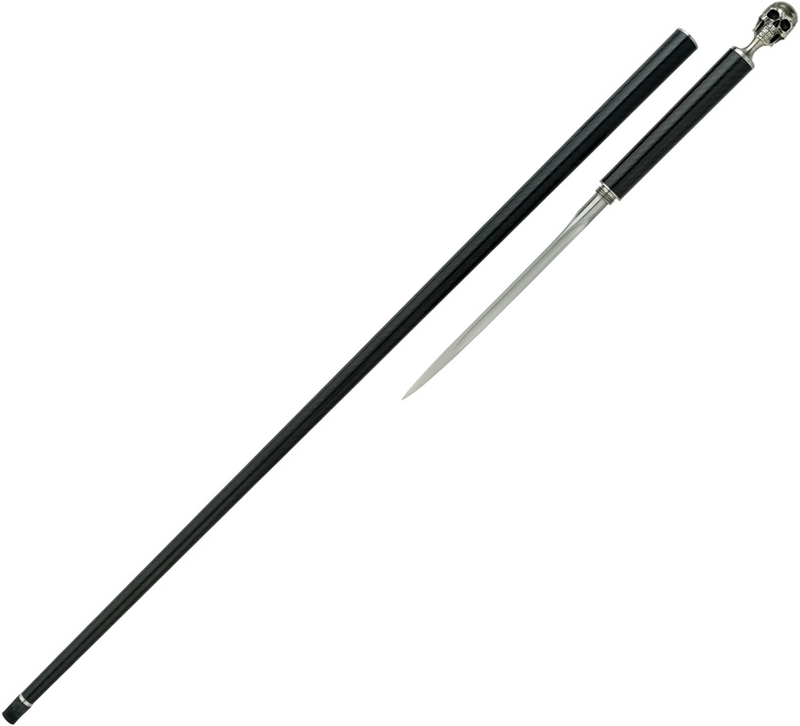 Dragon king drk12720 skull cane carbon fiber sword. Overall: 34.25"; Blade: 8" l Stainless l Standard Edge; Handle: Black l Metal; Other Info: 3Cr13 stainless blade. Finely detailed cast skull handle. Black carbon fiber shaft with rubber tip. Shaft unscrews from handle to reveal blade. Boxed.